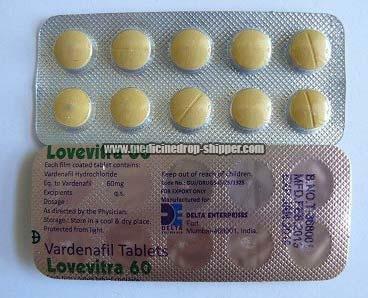 Our well-reckoned entity is earnestly engaged in supplying and exporting Lovevitra 60 Tablets in Maharashtra, India. These tablets undergo a series of quality checks before getting forwarded to our prestigious clients. These tablets are available in a hygienic packing, which protects them from contamination. Our offered Lovevitra 60 Tablets are well-applauded for their accurate composition, safe consumption, authenticity, long shelf life, and reliability.